-- UNC coach Roy Williams quoting Tyler Zeller after the “big” 7-foot nerd was named first-team Academic All America. 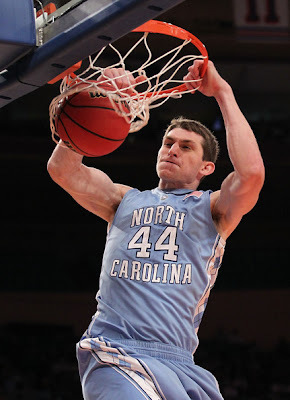 Carolina’s leading scorer was named to the team – along with Butler’s Matt Howard, Notre Dame’s Tim Abromaitis, Northern Colorado’s Devon Beitzel and Kansas’s Tyrell Reed – by the College Sports Information Directors of America. Zeller is the eighth Tar Heel to earn first-team Academic All-America honors and the first since Eric Montross in 1994.